← Los Angeles Wedding Officiant loves “green” diamonds! Ok, so I’m not actually at a rehearsal dinner, but I am helping CiaoCristina’s proprietor with some online marketing ideas tonight! 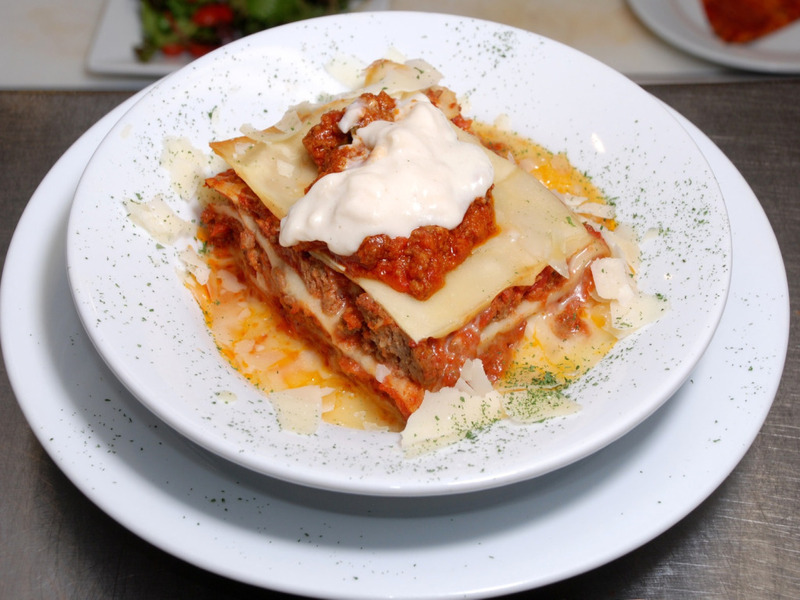 I’m planning on feasting on the mushroom lasagna in a few minutes, and I’ll post my review afterwards. UPDATE: Wow, that was a killer mushroom lasagna! My husband had the bolognese lasagna, which was equally delicious. We both should have saved some for a second meal, but it was so good, we just plowed through our dinners without stopping. And the Peroni on tap took me back to my college days in Italy. Next time I’ll discipline myself so that I can partake of the fine selection of gelato. The atmosphere in CiaoCristina! is very inviting and cozy, the staff is helpful and friendly, and there’s free jazz (no cover, no minimum) Wednesday night through Sunday night. What better place in Toluca Lake to bring your wedding party after rehearsal. Just contact owner Alan Donovan at 818-563-2426 to book your reservation. CiaoCristina! is also a great spot to enjoy football season on their two big screen tvs! This entry was posted in Rehearsal dinner, Uncategorized, wedding officiant and tagged ciaocristina, Italian food, Los Angeles, rehearsal dinner, Toluca Lake, wedding officiant. Bookmark the permalink.